Patrick Mcglone went on trial at Aberdeen Sheriff Court accused of assaulting Jamie Holt at a property on Longate in Peterhead this year. He was further accused of issuing threats to throw Mr Holt of the window. 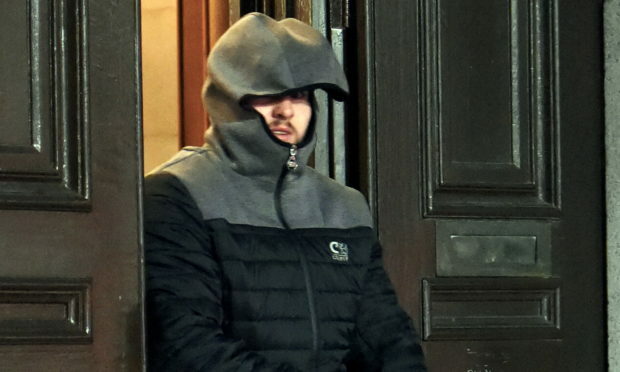 Jack Elms had previously admitted carrying out the brutal attack and biting the ears, but Mr Mcglone was alleged to have thrown the first punch and facilitated the violence by refusing to let others come to the aid of the man as the assault took place. Mr Mcglone gave evidence to the jury of eight men and seven women, which argued he had done nothing wrong and had been in a separate room in the property while Elms carried out the attack. And Elms appeared in the stand from HMP Grampian where he insisted he was the only one who had attacked anyone and said Mr Mcglone, his friend, should not be in the dock. In summing up the case against convicting his client, defence agent Iain Jane said that though there was no doubt Elms was a “repugnant individual”, his account added up and he had pleaded guilty to being the person “solely responsible” for enacting the violence. The jury took less than an hour to return a verdict of not proven on the charges of assault and issuing threats. Speaking after the outcome the 33-year-old said: “I knew I was innocent the whole time, it was just people telling lies trying to get me in trouble. “It has taken eight months of my life to get this decision. “Jack Elms admitted it from day one.